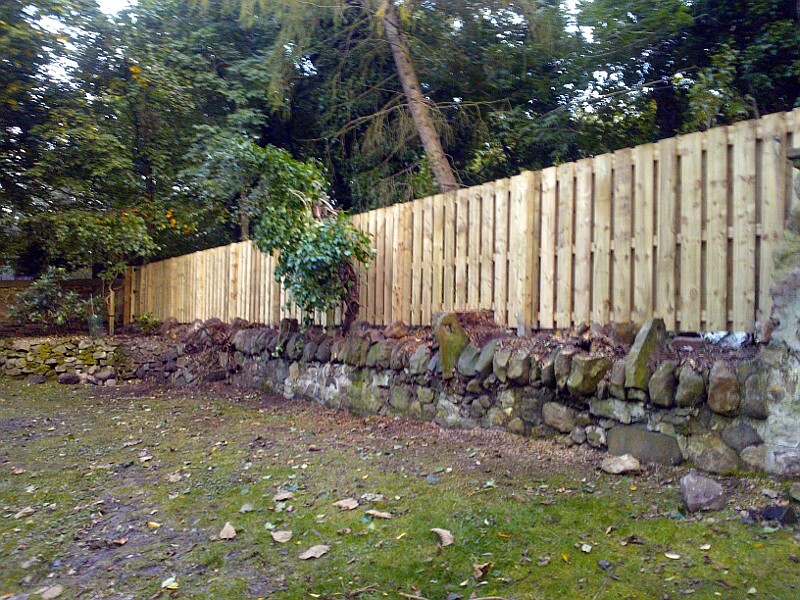 The Garden Construction Co offers a comprehensive range of Garden Fencing Edinburgh including timber fencing, using FSC sourced materials from sustainable woodland. We offer fencing services, supply and install manufactured fence panels such as larch lap, feather edge and many others to suit your requirements. Trellis Fence Panels to rear of garden Pergola with downlighters to cross beam, and trellis panels to underside of Timber Deck with hinged panel for under deck storage access. Trellis fencing with Climbing plants- Clematis Montana , Honeysuckle and Hydrangea Petioralis to end of garden to hide old wall. Trellis Fence Panels- used here to screen the garden from the driveway without blocking too much light to the conservatory. Bespoke fencing- slatted, ranch style, ship-lap etc to any design, and also gates to match. We also supply and install timber structures to your garden such as pergolas, arbours, raised beds, timber sleepers, sheds and garden buildings. All timbers are pressure treated and work carries a 5 year guarantee. The picture above shows horizontal boards to form ” ranch” style fencing,which is an attractive alternative to vertically fixed slats that form a ” picket” fence. the ranch style fence is more economical as it uses less materials and is requires less labour for fencing installation. However its main drawback from a security fencing point of view is that it is easy to climb over as the timber boards form convenient steps to climb over! However this is not a problem for most people in a domestic fencing application. Slatted ‘hit and miss’ garden fencing with planting to foreground, Alder and Holly to integrate with indigenous Trees at The Hermitage in Edinburgh. Slatted fencing is the perfect solution for gardens that are windy. A standard fence panel forms a barrier to wind which puts presssure on the fence and the posts and panels can be damaged and causes turbulance on the opposite side of fence damaging herbaceous borders. Slatted fencing which normally has a 25mm/50mm spacing allows the wind to pass through the fence but it slows and dissipates the windflow reducing wind damage to your garden and property. 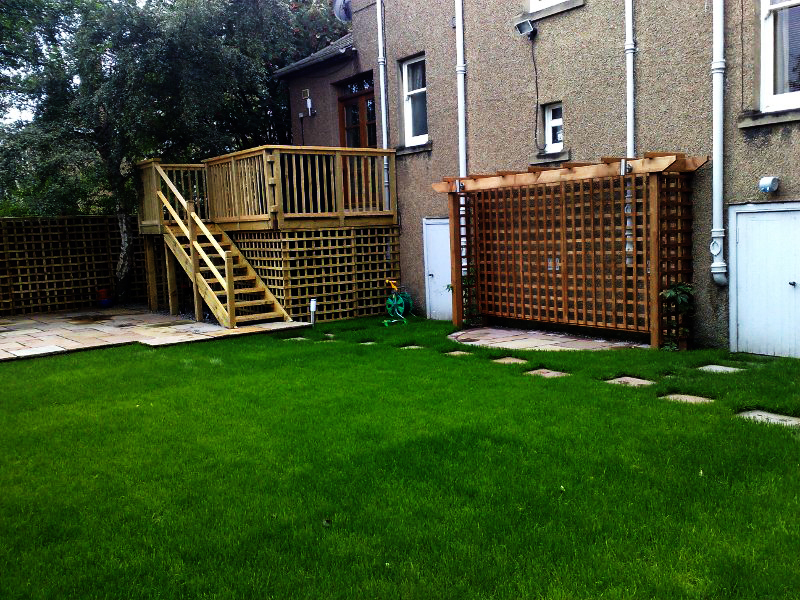 See more examples of our work at www.deckingedinburghlandscaping.wordpress.com.